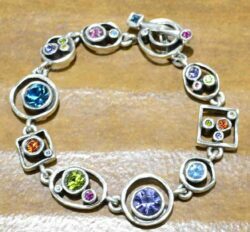 This handmade bracelet is made by Patricia Locke Jewelry. Patricia Locke names each style and this bracelet style is called Swing. 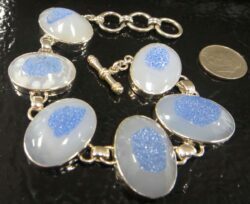 This handmade bracelet is made by Patricia Locke Jewelry. Patricia Locke names each style and this bracelet style is called Swing. This bracelet features Patricia Locke’s clear crystal color palette called “All Crystal”. All stones used are Austrian crystal. 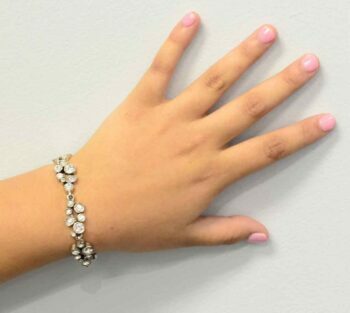 This bracelet is silver-tone. The bracelet measures approximately 7.75 inches long. 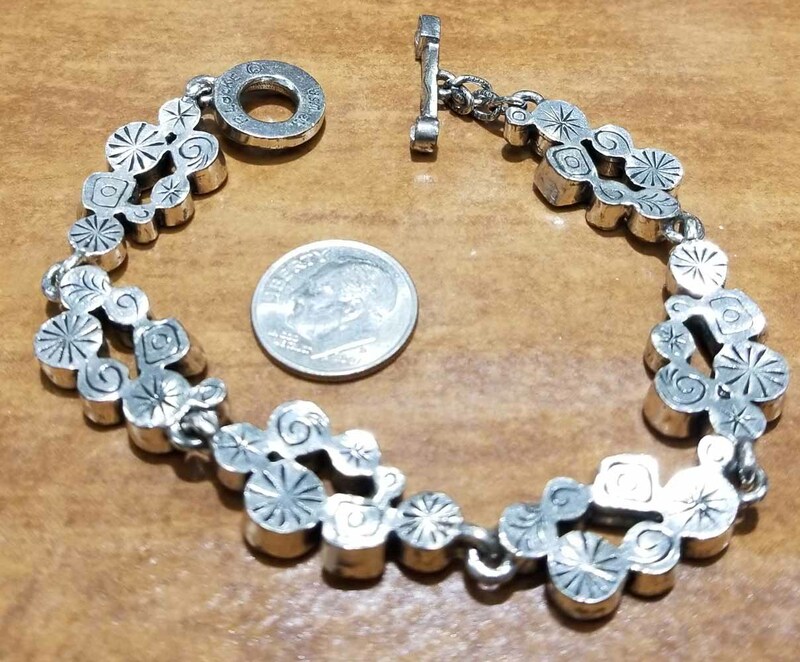 The bracelet is approximately .5” wide. This bracelet features an easy to close toggle style clasp. Please note that the dime is not included with the jewelry but shown to help you gauge the size of the bracelet.